September 2018 Special for two 750.00 ( just email and I will adjust the price) Open concept newly renovated 100 year old school house! Enjoy your holiday in central location of Cape Dauphin (20 minute drive to Baddeck) at the base of Kelly's Mountain, in a school house that is newly renovated, over 1200 square feet, cathedral ceilings, original hardwood floors and wainscoting throughout, open concept kitchen and living area, bedroom on main level and a very large loft area on the second level which has two single beds and a queen bed, half bathroom and separate shower/tub room on the main level, large wrap around deck, bright and private with great views of the Bras D'or Lakes, nice breeze from ocean. There is a lovely sandy beach sometimes rocky spots depending on the years tidal action, just a 5 to 10 min walk (down a path, across a dirt road and down a driveway). For those who have trouble walking you can drive. There is a fire tub on the beach so you can collect wood along the beach and have a fire if you desire (of course weather permitting ). Very private and secluded. Pets are welcome (we charge a pet fee). We also have two other properties with potential availability in the same area that could be booked if there is a gathering of families. Restaurants and grocery store: There are a few restaurants close by. The cottage is approximately a 15 min drive down a dirt road (good condition) to the Trans Canada Highway. There are two good restaurants 10 min from the TransCanada Highway. The grocery store is 20 min drive to North Sydney or a 20 min drive to Baddeck. The water has a high iron content from a deep well and may stain whites. The main level has one bedroom with a queen bed and the second level (loft area open to below) has two single beds and a queen bed. The living room has a sofabed. The full bathroom is on the main level. No smoking inside. I enjoyed the history of the old school house, the staircase was not an easy task being of a certain age, the view was lovely and the drive to get to the house was amazing. The area was beautiful and easy access to Baddeck,Ingonish and Sydney. The cabin had a rustic charm but lacked basic upkeep such as a broken screen door, non functioning toaster,old pillows, uncomfortable mattress and it could have been a lot cleaner. I must say Im confused, I was up to speak with you on two occasions and asked both times if you were comfortable and the answer was everything was good, now you wait till after you leave and leave a bad review. I will look at the toaster and screen to have them repaired, and will address the cleaning with the cleaner. Thank you for your input but would have liked to address these items with you personally, safe travels. PS I checked the toaster and it was working fine ( maybe you had the setting down low?) Also the screen door was off the track ok now. We thoroughly enjoyed our few days at the Old Schoolhouse. The cottage is wonderful and I love the way it was renovated. Having attended a one room schoolhouse as a kid I appreciated its history. Richard was very accommodating when we had to change things around at the last minute. We arrived after dark and even with very explicit directions we had a little trouble finding it. It was much easier in the daylight. My wife and I thoroughly enjoyed our stay here. The cottage was amply stocked with supplies for everyday living. The homeowner was very considerate of our privacy while maintaining the house with everything we need (water cooler was empty upon arrival but we quickly found a full water bottle outside the front door). The beach is nice and private and an easy stroll from the cottage. Our dogs loved the freedom of the property and the beach. In terms of location, the cottage was a beautiful drive down a winding dirt road but still close enough to the highway to access anything we wanted to do. I highly recommend staying here to anyone and thank the owner very much for our stay! Rustic but quiet and comfortable. We are located on the New Campbellton Road in the community of Cape Dauphin (population 15 full time residents). Take a 5 minute walk and you are n a private sandy beach, you can walk for miles and not see anybody. From Cape Dauphin you can do all your day trips around the island. Down the road there is Kelly's wharf where you can fish mackerel, buy fresh lobster, join in with the cottagers for a bonfire. Close by there is Bird Island boat tours, boat charters and whale watching, world-class golf course (Bell Bay), Highlands National Park, hiking trails, Alexander Graham Bell Museum and historic fortress of Louisbourg. 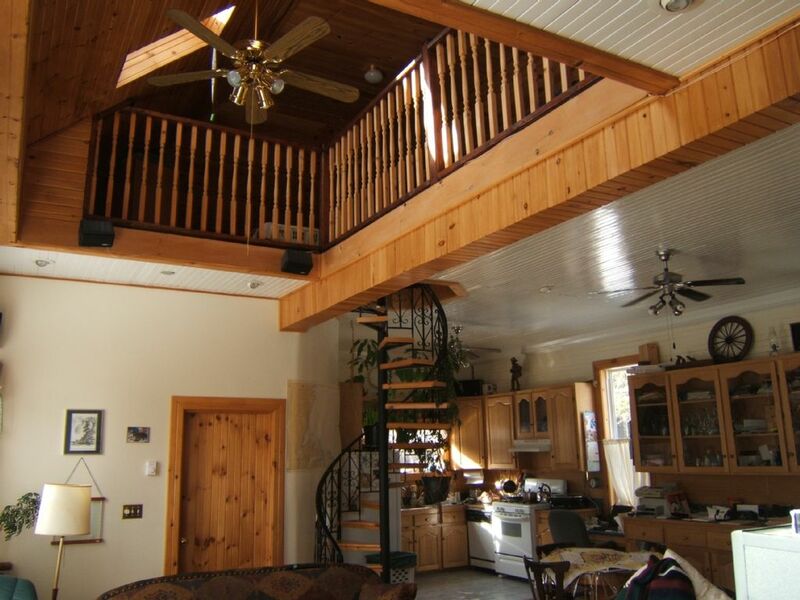 It is 50 minutes from Sydney, 30 minutes to shopping area in North Sydney, 25 minutes to the tourist town of Baddeck. Rates are quoted for up to four persons. Extra person charges of $175 per person per week (pro-rated for less than 7 nights). Pet fee of $100 per stay.